How do you turn a mere handheld power drill into a portable, versatile pulling tool? 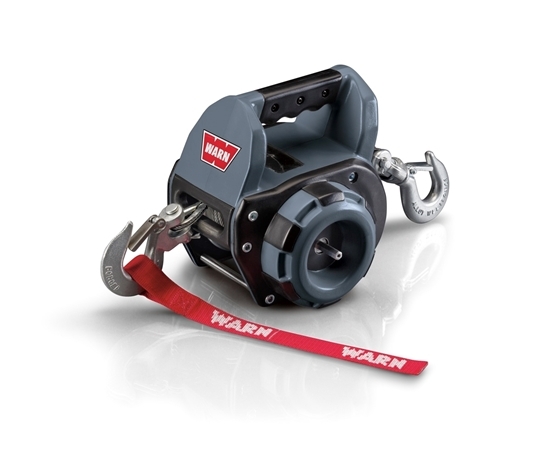 With the rugged, versatile, and easy-to-use WARN Drill Winch. From moving heavy nursery stock, to pulling a rolling load up onto a trailer, the 500 lbs. capacity Drill Winch does the hard-to-handle pulling jobs. While all of the WARN products in this web site are designed to pull loads, only the PullzAll is also designed to lift them. Why? Well, pulling is a horizontal task. Lifting, on the other hand, requires lifting dead weight into the air vertically. Therefore, a lifting/pulling product like PullzAll has some unique design features, such as a load limiter, and it does not utilize a freespool clutch. So before you use any WARN product, think about the job at hand.